Samsung might have recently been demonstrating technology that allows smartphone makers to completely hide a camera and other sensors under the screen but it is widely expected that impending designs will instead feature physical screen cut-outs to allow for front facing cameras. The South Korean electronics giant recently took the wraps off an upper mid-range device called the Galaxy A8s in China. 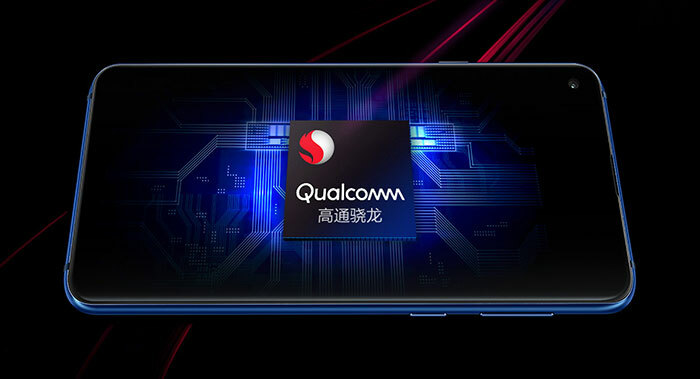 As you can see in the pictures above and below, this new smartphone does away with an upper notch or bezel and instead employs a camera lens sized hole to the top left. This screen design is dubbed the 'Infinity-O' display by Samsung. 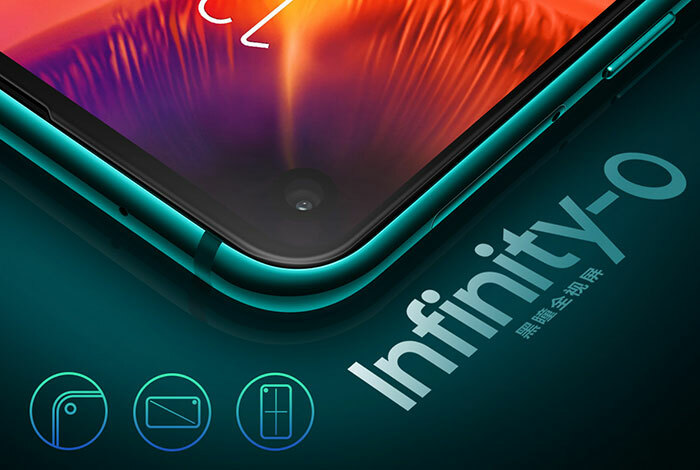 It is thought that the Galaxy A8s might help Samsung test the waters for upcoming flagship Galaxy S10 smartphones which will use the same screen technology but with the Infinity O holes positioned top right, like this. Will smartphone buyers welcome this screen hole and consider it a better solution than a notch or simply camera lenses in an upper bezel area? We shall have to wait and see. Here's an OK hands-on video in the absence of anything official from Samsung. Samsung isn't alone in developing the punch-hole screen notch alternative. Huawei just teased a rival phone with an upper left screen hole for its front facing camera (5mm hole, smaller than Samsung's 6.4mm). The Honor View 20, also known as the V20 was unveiled yesterday in Hong Kong and looks a lot like the Samsung Galaxy A8s. This device isn't just about the screen tech - as it headlines another feature - a rear camera with 48MP and an AI HDR mode. It also employs the 7nm Kirin 980 chip. The Honor View 20 is expected to be welcomed with a full launch in Beijing on 26th Dec, with a European event to follow in January. Wow, that looks absolutely horrible (in the video). I actually prefer something with bezels at the top and bottom, a physical home button and somewhere to hold when talking photos is more important than a couple of extra mms of screen size. Whilst it's infinitely better than the gigantic notch on the iphones/huawei/Pixels…it's still a notch, its still ugly, and it's still completely unnecessary. Really stupid decision from Samsung - they had a golden opportunity to remain the only major vendor to product phones with a full front screen, and they wussed out. I suppose I should be kind of happy really as it means I have an incentive to NOT replace my S9 next year and to wait until some common sense is restored to the industry and people stop putting pointless holes in screens. While I still so absolutely no reason to have a notch in a mobile phone screen, at least stick it in the middle, where less info is placed, and make it as small as possible.